The Shakers are a collaborative project between Australian glass artist Jonathan Baskett and Robert Foster. Jonathan’s inspiration is from his time spent living in and working in Mexico, where life is about food, noise and movement, and where the maraca is the essential ingredient for all music. 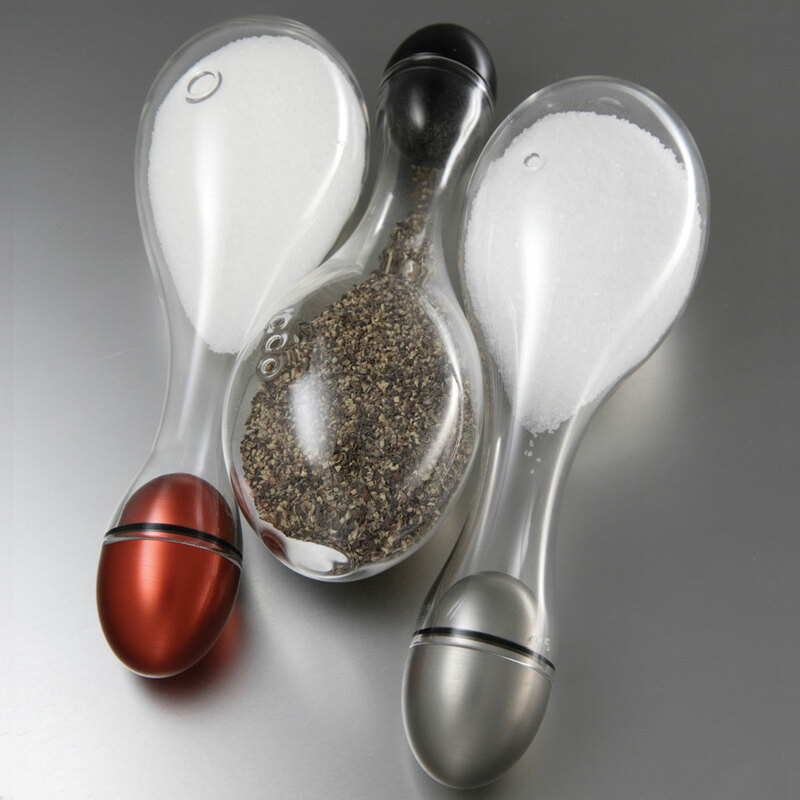 Made from hand-blown Pyrex glass with an anodised aluminium stopper, the collection includes salt with a single small hole and a grey stopper, pepper with three holes and a black stopper and the slightly larger sugar shaker with one larger hole and a red stopper. Sold as a pair or individually.